After breathing a deep sigh of relief Sunday night knowing he survived the roval carnage at Charlotte (N.C.) Motor Speedway, No. 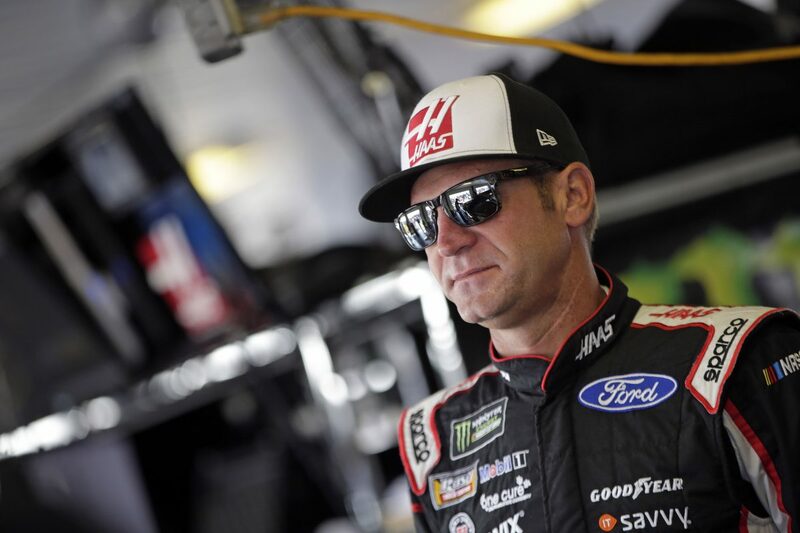 14 Haas Automation VF-1/Rush Truck Centers Ford Fusion for Stewart-Haas Racing (SHR) driver Clint Bowyer is ready to kick off the Round of 12 of this year’s Monster Energy NASCAR Cup Series playoffs this weekend at Dover (Del.) International Speedway. Bowyer and his No. 14 Ford Fusion team entered Sunday’s final race in the Round of 16 on the Charlotte roval four points out of the final transfer position. But he qualified seventh Friday, then racked up 14 bonus points in the first two stages of Sunday’s race while surviving three- and four-wide racing throughout and avoiding a massive wreck in the closing laps en route to a third-place finish that boosted him to ninth in the points and advanced him to the next playoff round with 11 other drivers. He has a simple goal at Dover Sunday. The Emporia, Kansas native wants to finish just one spot better than he did in May at the concrete mile oval when he led 40 laps but finished second to SHR teammate Kevin Harvick by 7.4 seconds. Bowyer would love nothing more than to start the Round of 12 with a good run Sunday. He said racing on the roval at Charlotte last weekend was tension-filled. He expects this weekend’s race on the more traditional mile oval at Dover to be much more fun. Bowyer isn’t a stranger to victory lane at the Monster Mile. He owns two Xfinity Series victories. He led 70 laps and beat Matt Kenseth by .547 of a second on Sept. 23, 2006 for his third of eight career Xfinity Series victories. His most recent Xfinity victory also came at Dover Sept. 26, 2009, when he led 83 laps and beat Mike Bliss to the checkered flag by 1.319 seconds. Bowyer is part of something bigger in 2018 than just a career resurgence that has seen the No. 14 team post two victories, eight top-five finishes and 14 top-10s. Bowyer and each of his three fellow SHR drivers advanced to the Round of 12. SHR is marking its 10th anniversary like no other season. The Kannapolis, North-Carolina-based team is co-owned by Tony Stewart and Gene Haas and has recorded 49 victories and 42 poles since its inception in 2009. Stewart won the 2011 NASCAR Cup Series title and Kevin Harvick gave SHR its second title in 2014. Kurt Busch won last year’s Daytona 500, and Harvick has won seven times in 2018, Bowyer twice and Busch once. Aric Almirola advanced to the Round of 12 in his first year at SHR. Success isn’t limited to the premier series. In the Xfinity Series, SHR with Biagi-DenBeste Racing’s Chase Briscoe won the inaugural Xfinity race on the Charlotte roval Saturday while teammate Cole Custer arrives in Dover fourth in points. SHR’s Cup Series success is expected to continue at Dover, where it owns three victories – Stewart in June 2013 and Harvick in May 2018 and October 2015 – and has eight top-fives and 18 top-10s in 58 starts. If Bowyer can finish one spot better at Dover than he did in May, he’ll turn that sigh of relief he breathed in Charlotte into some pretty loud shouts of joy in Dover’s victory lane. How important is experience at Dover? What were the days and night like leading up to racing at the Charlotte roval like?